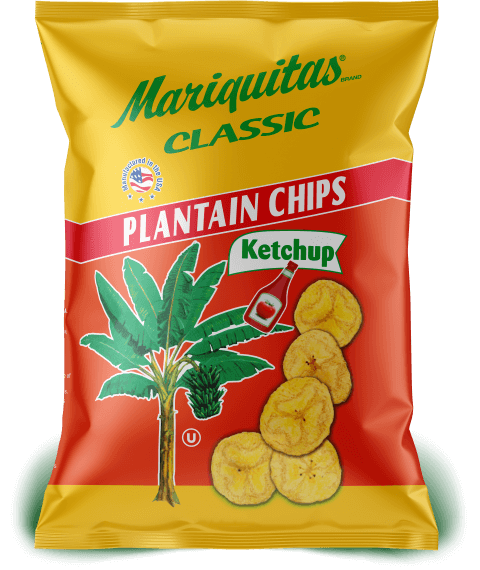 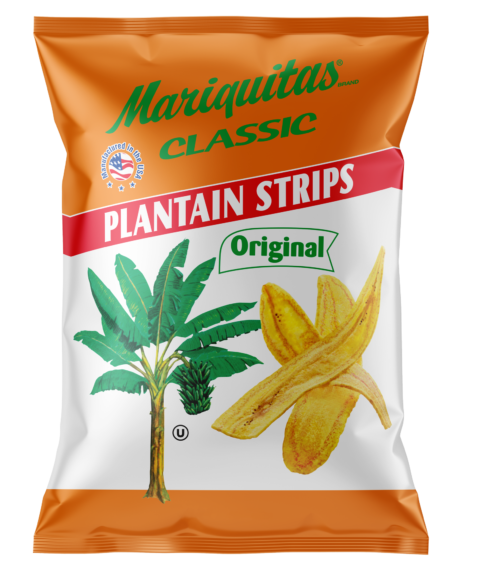 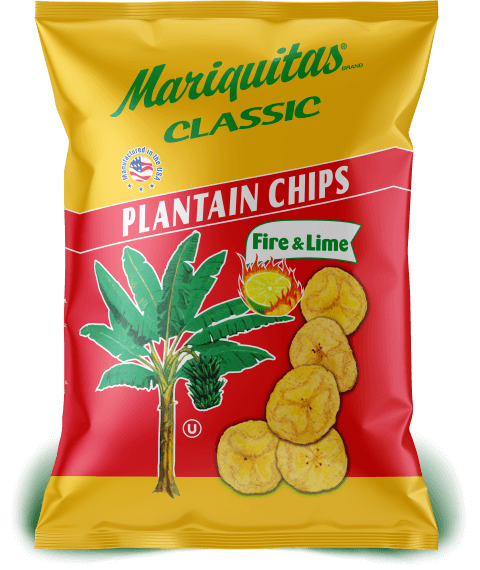 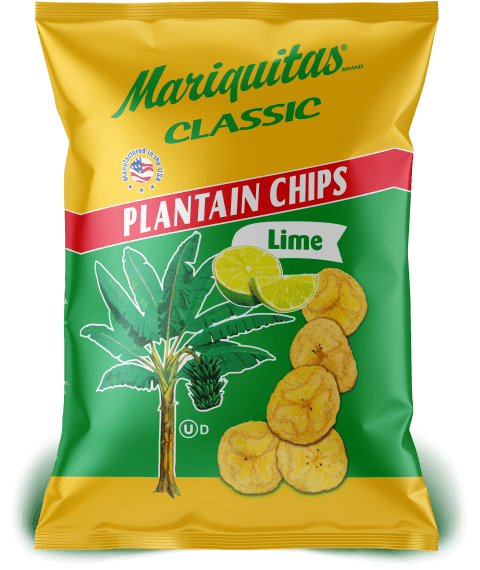 Mariquitas Plantain Chips derives its name from the Oriente province in Cuba. 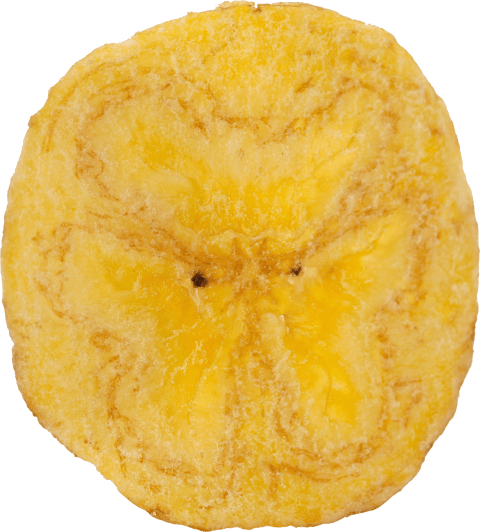 The crunchy golden crisps were popularly sold by street vendors in the island. 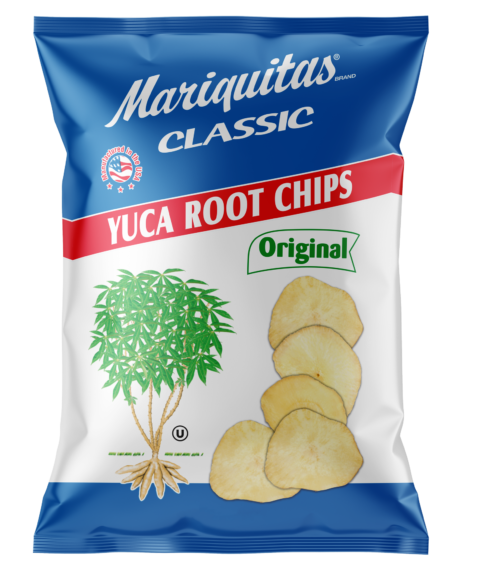 In the early 1960’s, these authentic Mariquitas were brought to the US, and have been manufactured in Miami, FL since then. 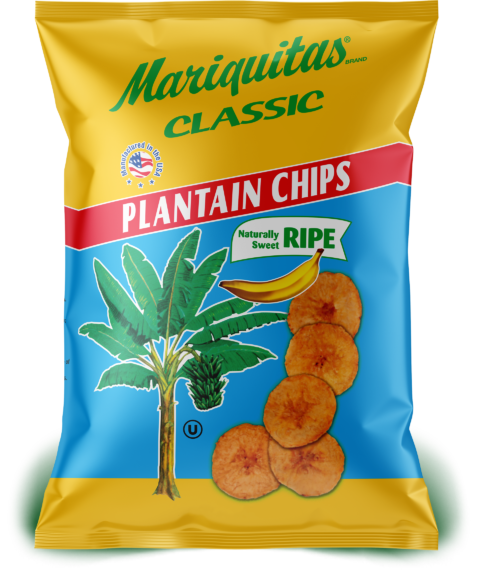 Today, the delicious treats serve as a staple to America’s dining culture and have become the leading plantain and yuca brand in the United States. 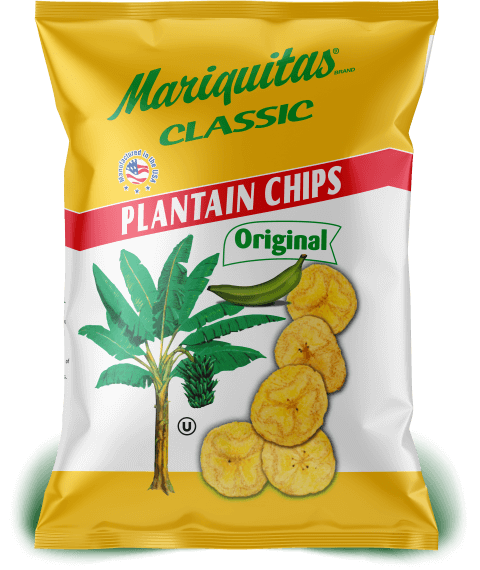 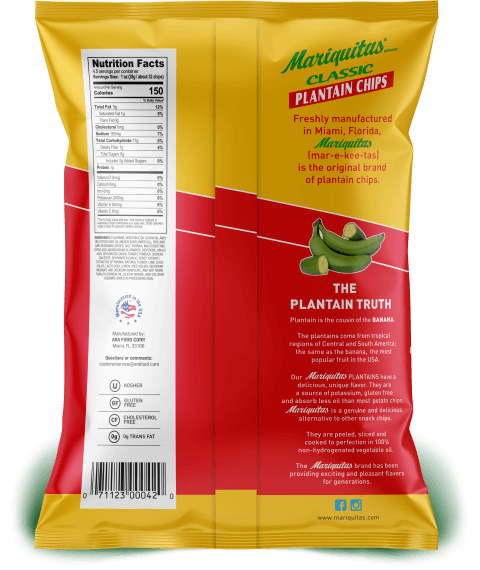 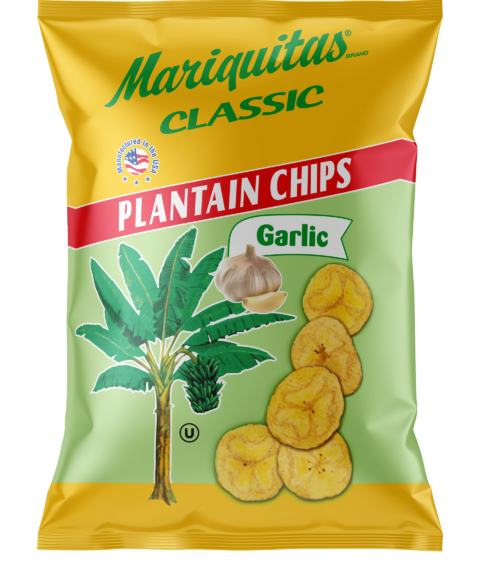 Mariquitas Plantain Chips are made with the highest quality plantains and yucas, cooked to perfection. 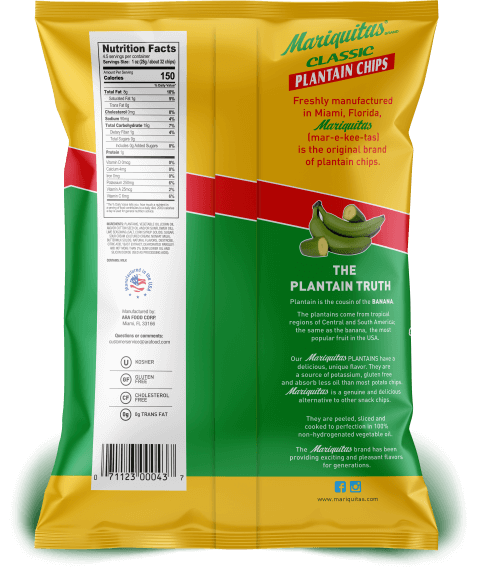 With no additives or preservatives, our chips offer consumers a delicious, and healthy snack experience in every bite. 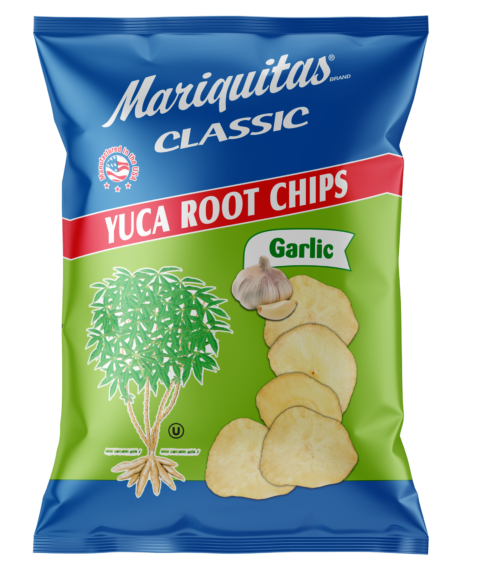 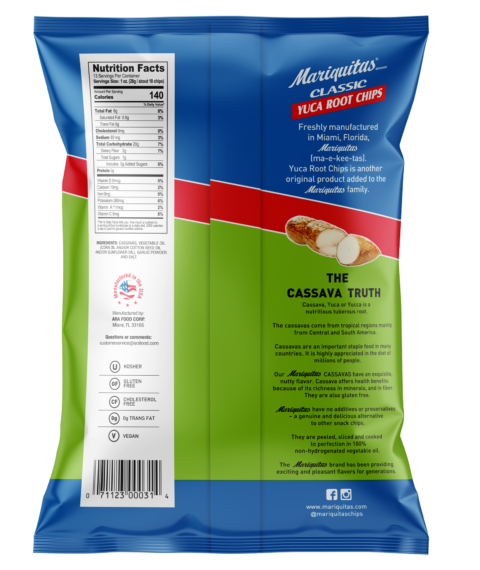 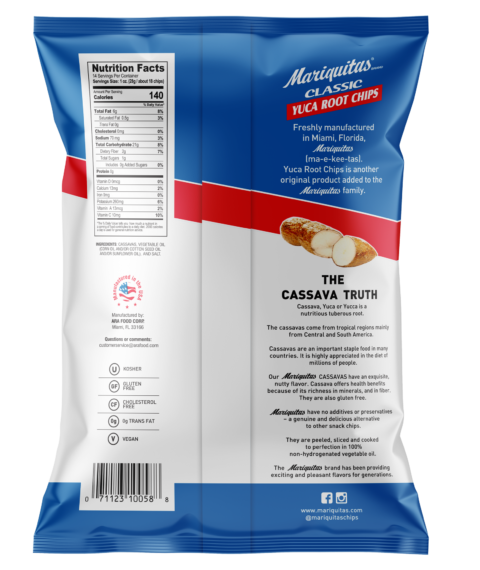 With seven different varieties to choose from including yuca varieties, Mariquitas chips are quickly becoming America’s favorite snack! 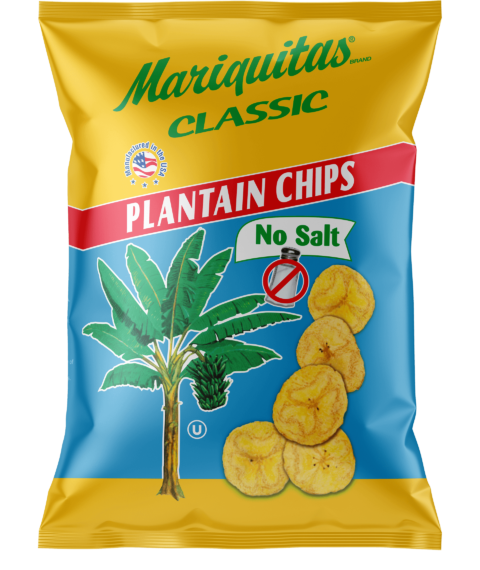 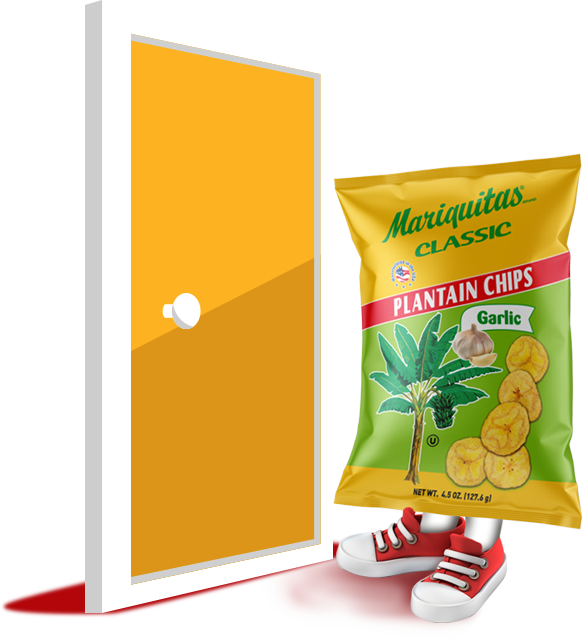 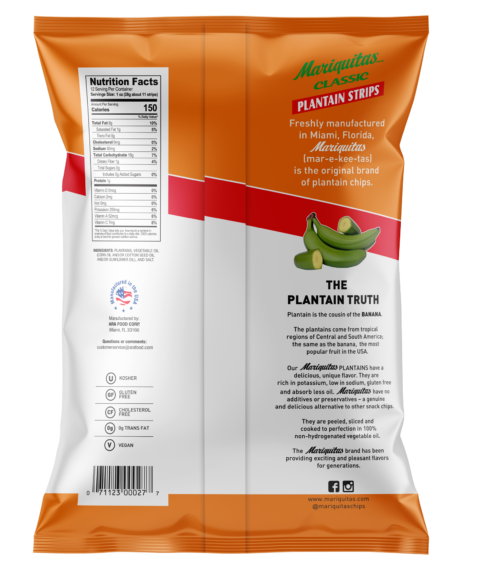 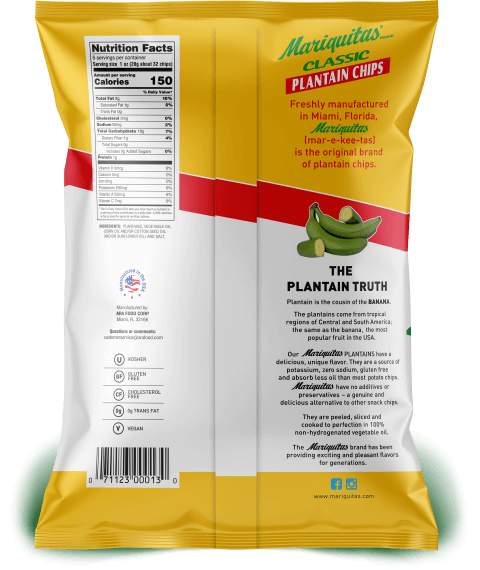 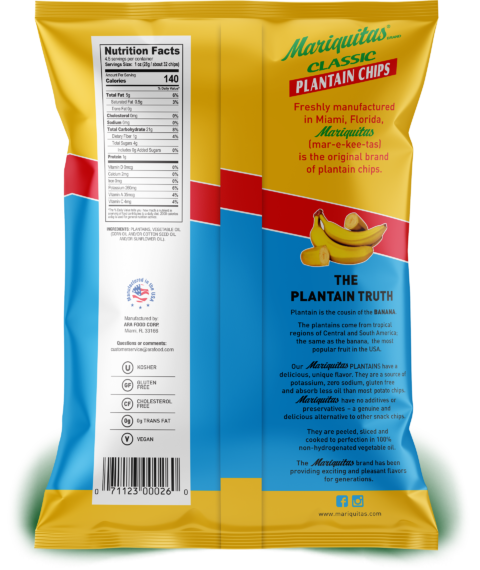 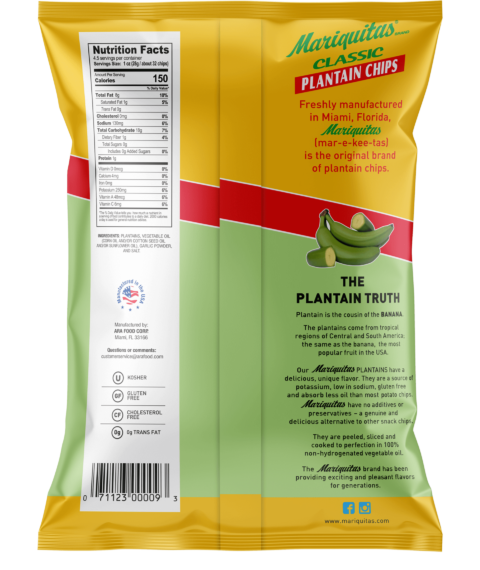 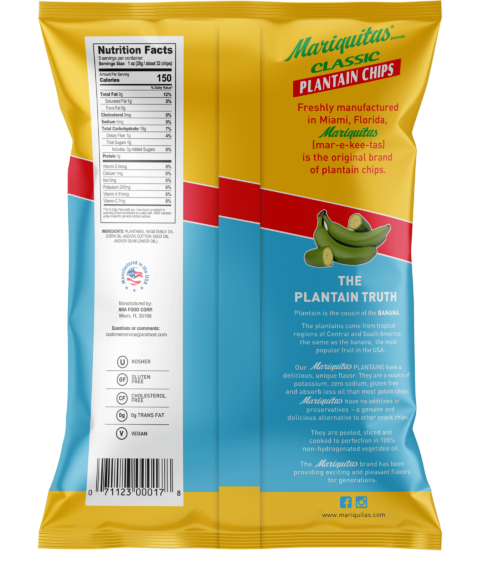 Containing no cholesterol or trans fat, and high potassium levels, Mariquitas Plantain Chips are THE SMART WAY TO SNACK.